The main purpose of this review is to investigate the methodology of social life cycle assessment (SLCA) through its application to case studies. In addition, the following research aims to define the trends related to the SLCA by researchers and consultants. This study will help to map the current situation and to highlight the hot spots and weaknesses of the application of the SLCA theory. The SLCA could be considered as a useful methodology to provide decision support in order to compare products and/or improve the social effects of the life cycle of a product. Furthermore, the results of the case studies analyzed may influence decision makers significantly. For this reason, a systematic literature review of case studies was carried out in which SLCA was applied in order to analyze closely the application of the stages of this methodology. In this study, the major phases of the technical framework for a SLCA were analyzed. Specific attention was paid to detect the positive impacts that emerged in the case studies, which were also studied by administering a questionnaire to the authors of the analyzed case studies and to a number of experts in the field of SLCA. The 35 case studies examined in this paper, even though they do not deviate from the 40 identified by the previous processing, are still significantly different in terms of outcome produced. It is important to clarify that the authors who developed the case studies considered the steps defined in the SETAC/SETAC guidelines, borrowed from the ISO 14044 standard. 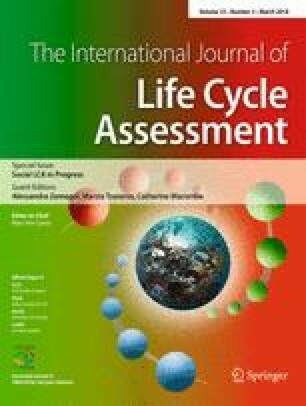 The data resulting from this analysis could help both practitioners and researchers to understand what the issues are, on which it is still necessary to investigate and work, in order to solidify the SLCA methodology and define its role in the context of life cycle sustainability assessment (LCSA).